‘Watertanden’ is an intransitive verb. Most of the time the finite form of ‘watertanden’ is not used. It’s more common to say ‘daar moet ik van watertanden’ or ‘het doet mij watertanden’. The main translation given above reflects the latter use better. I couldn’t find a direct translation of the verb. 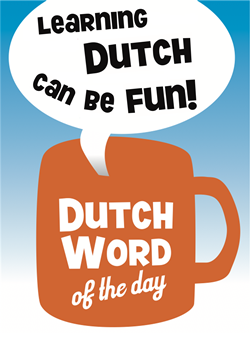 A common expression is: ‘Het is om van te watertanden’ (“it’s mouthwatering”). – “Het water loopt me in de mond”: it makes my mouth water / my mouth is watering. – Likkebaarden: to lick one’s lips (when thinking about food) [verb] [likkebaardde, gelikkebaard]. A ‘baard‘ is a ‘beard’ in Dutch. – Trek: appetite [noun] [de trek, <no plural>]. Often used with ‘hebben’, e.g. ‘ik heb trek’: I’m feeling peckish. – Knorren (van de maag): rumbling/grumbling (of the stomach) [verb] [knorde, geknord]. – Water: water [noun] [het water, de wateren]. – Tand: tooth [noun] [de tand, de tanden]. This entry was posted in Dutch word of the day, DWOTD 1.0, Vocabulary Guru and tagged het water loopt me in de mond, likkebaarden, tanden, water, watertanden by Sander. Bookmark the permalink.